Product Information | Wisconsin Converting, Inc.
WCI offers a wide range of products that can be ordered plain or custom printed down to one case. 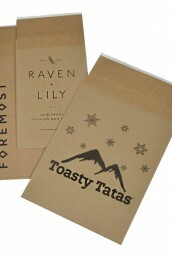 This means even the smallest customer can order a custom printed product that will meet their packaging needs. No more high minimums from other manufacturers. No more plain bags with stickers or labels. Everyone can promote their brand with custom-printed packaging from WCI! 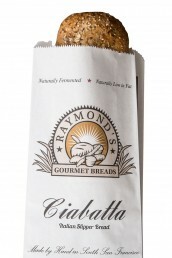 Bakers prefer paper bread bags because they're friendlier to the bread - and to the environment. By nature, paper is porous, meaning moisture won't be trapped in causing bread to mold quickly. They're also 100% recyclable, biodegradable, and compostable meaning when customers are finished eating their delicious bread they can dispose of the bag without a lasting effect on the planet. Call our helpful sales team today to request samples and information. We'll help you "rise" above the competition! 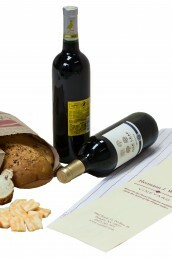 Offered in several popular sizes, our wine and liquor paper bags are ideal for wineries and liquor stores to package single bottles for retail sale. The durable 30# basis weight paper is available in both recycled natural and white colors. The gusseted sides allow the bag to stand upright on its own for easy filling and display. 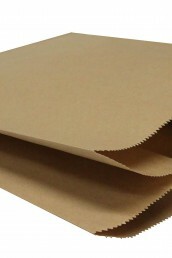 These paper bags are also used to package items like non-alcoholic beverages, cooking oils, and juices. Stock sizes are available plain, custom printed, or hot stamped in one case minimums. Please call for a quote on our new standard 18 inch size. Standard Size (5m minimum order) - NEW for 2019! Specialty bakeries prefer paper bags to store and package fresh-baked breads, bagels, pet treats, and donuts because, unlike plastic, paper is porous and allows bread to breathe. Allowing moisture to escape is known to maximize freshness and enhance taste. 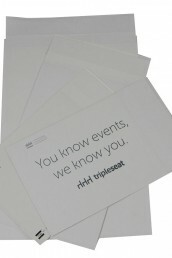 Environmentally-conscious customers also appreciate the decision to use paper as it is recyclable and biodegradable. We offer an array of unique and attractive paper grades to choose from. 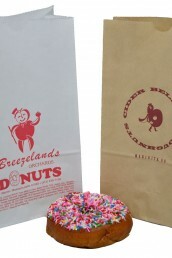 In addition to standard white and grease-resistant paper options widely used by donut shops and bakeries, bags are manufactured and stocked with unbleached, grease-resistant natural kraft or recycled natural kraft paper in many shapes and sizes. Packaging with a natural appearance often reinforces the brand image of many organic and natural bakeries. Don't see the size you need? Call our packaging experts to find out about a custom size! Don't see what you need? Check out our custom solutions. Eco-Shipper® have been used for years by large, cost-conscious shippers around the world, and now smaller shippers can take advantage of this environmentally-friendly shipping option. One-case minimums on stock and custom-printed Eco-Shippers make them ideal for online retailers large and small. Ebay and Etsy sellers and large chain stores like Lands End, Ann Taylor and Eddie Bauer appreciate the strength, convenience and appearance of these attractive, 100% recyclable mailers. The same top quality shipping package as the Eco-Shipper® is available to match any PMS color of your choice. The Illuminations product line provides a 100% colored shipper with flexographic printing capabilities of up to two-color, two-sided printing on top of the base color. Eco-Natural shipping bags continue to grow in popularity with e-commerce businesses seeking a cost-effective alternative to shipping in bulky cartons or poly mailers. These kraft envelopes are attractive and lightweight, and have proven ideal for shipping durable goods like clothing, books, CDs/DVDs, accessories, catalogs, jewelry, and more. Companies who consider the environment as top priority when purchasing their packaging and shipping supplies choose Eco-Natural because they are manufactured with 100% recycled paper and are biodegradable, compostable, and recyclable. In addition, as a manufacturer, WCI is committed to being good stewards of the environment (Read more about our commitment to the environment). WCI provides specialty packaging solutions for businesses of all sizes. Large e-commerce shippers and distribution centers appreciate our ability to deliver large quantities in a timely fashion and can often take advantage of quantity discounts. Personal and home-based businesses like Etsy artisans and growing online retailers use Eco-Natural because it is cost-effective and available in one-case minimum orders on plain or custom printed mailers. Our printing capabilities allow us to provide personalized shipping bags printed with your logo, return address, or promotional message so customers know they’re receiving something special when they receive your package. Make an impression! 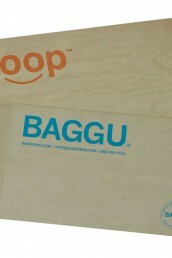 Contact us to get started on your custom printed shipping bags today. WCI’s glassine lined paper bags are sweet way to ensure candy, cake, nuts and other food items maintain their freshness – and look good doing it. Our high quality, grease-resistant paper bags are an attractive and cost-effective alternative to wax-lined or unlined paper bags. 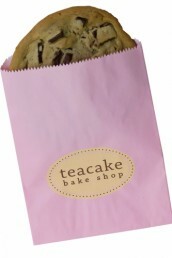 Every “smart cookie” will choose printed glassine lined bags to celebrate their special day or promote their business! If your industrial customers need a bag that works as hard as they do, WCI hardware bags are the solution they’re looking for. 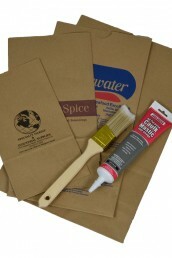 Made with top-quality, heavy-duty recycled kraft paper, these heavyweight SOS bags are ideal for use in hardware stores and other industrial applications. These heavier weight bags are perfect as evidence bags for police, detective, and other law enforcement use. They come in a variety of sizes and can be printed with your specific municipality needs to ensure proper documented chain of custody. Put them to the test, they can handle it! Being tough doesn’t mean they can’t look good too. Custom printing with one-case minimums provides even the smallest customer a cost-effective packaging solution that will help promote their business. Don’t see what you need? Check out our custom solutions or call us now to have us recommend a distributor! 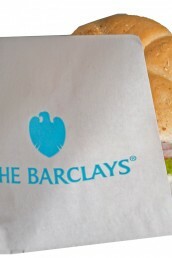 Not just your plain brown lunch bag! Colorful SOS sacks manufactured at WCI will make it easy to promote your special event or business. Our well-constructed flat bottom bags are perfect for elevating your brand image. With increasing medical and recreational marijuana legalization throughout the USA, dispensaries are a budding business nationwide. WCI manufactures a variety of affordable, high-quality paper pharmacy bags ideal for packaging medications and other goods sold at dispensaries and retail shops. 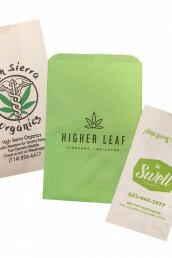 Dispensary packaging supplies including pinch-bottom prescription bags and flat-bottom SOS bags (stand up bags) are available in many popular sizes. All standard sizes are in-stock and can be purchased unprinted for discreet packaging or custom printed to advertise your brand. One-case minimums for plain or printed product offer flexibility in choosing the right packaging solution for your dispensary. 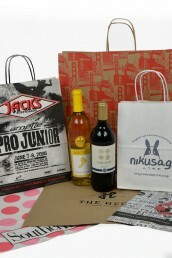 Paper merchandise bags manufactured at WCI will have your company’s image “in the bag.” From a plain white flat paper bag to a custom printed colored gift bag, our merchandise bags are manufactured for quality and value. 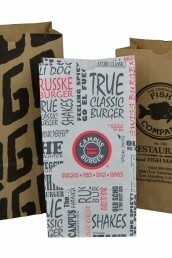 Custom size bags are available – call us for a quote! 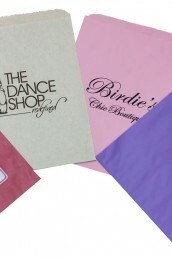 With an assortment of sizes and colors, there is a merchandise bag that’s perfect to help promote your business. Whether you choose a plain brown bag or a custom printed colored gift bag, our paper bags will increase your brand awareness and help stretch your advertising dollar farther.